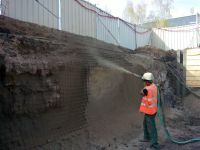 The technology of shotcrete (torkret) is based on pneumatic transport of dry or wet concrete mixture on the intended place. 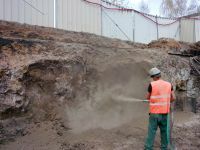 The concrete mixture is conveyed by pressure hoses which are terminated by a spray nozzle into which pressurized mixing water with a solidification accelerator is brought. 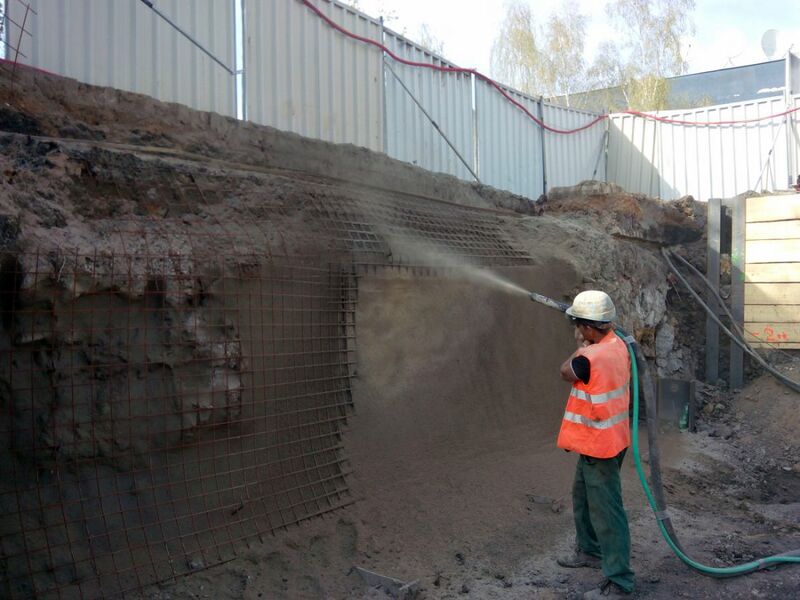 Shotcrete is carried out both on the surface and underground. 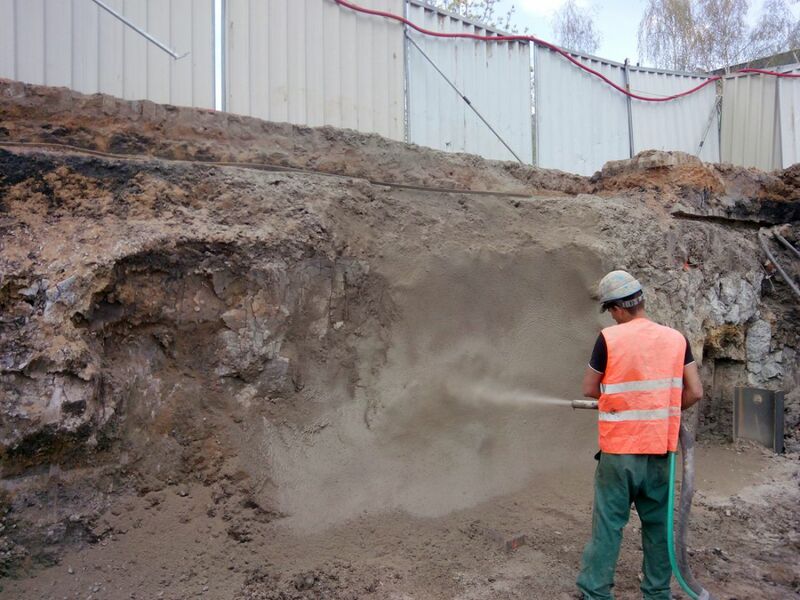 The technology of shotcrete is used alone or in combination with other building technologies, when building retaining walls, ensuring of foundation pits and unstable slopes, remediating and reinforcing of old concrete structures. 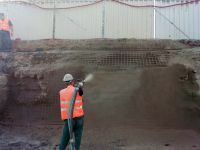 Shotcrete is especially used when cast concrete can not be used, either because of high workload of the formwork or the inaccessibility of the placing of concrete. 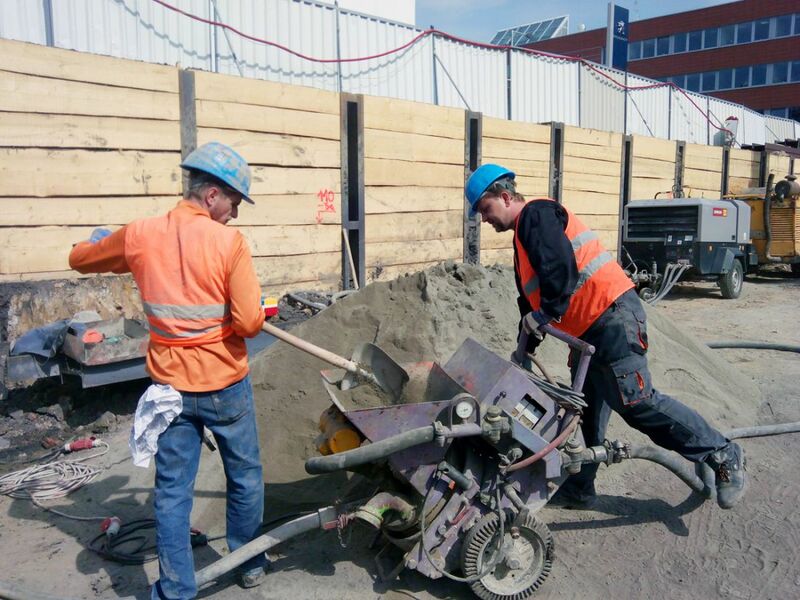 At the customer´s request, shotcrete can be made with a smooth surface.